Romping around outdoors is fun at any time of the year – and that includes winter, of course. However, it is especially important to wear the right clothing. 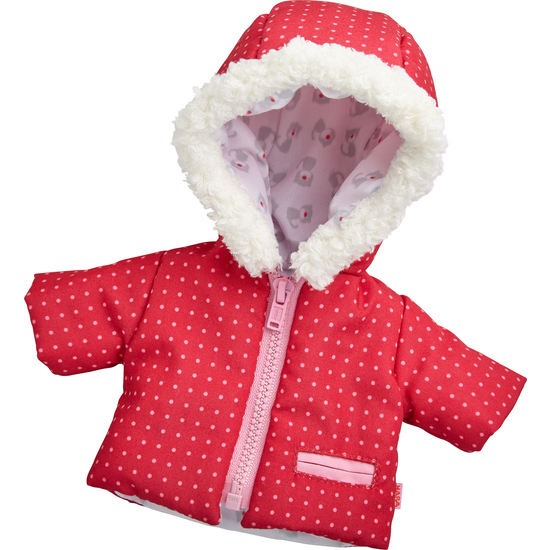 With this set of clothes, your child’s favorite HABA dolls will always be dressed for the conditions, no matter whether it’s a day for sledding or building snowmen. Contents: 1 hooded anorak, 1 ski pants, 1 pair sunglasses, boots.